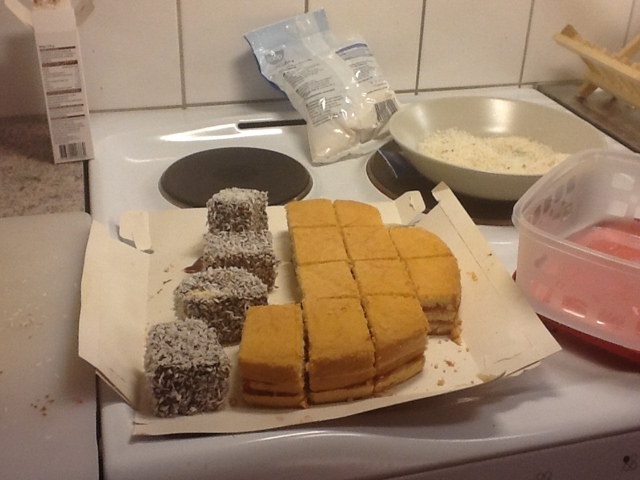 Look what I'm putting together for our (belated) Australia Day party tomorrow here in Piteå. Lamingtons! I bought a sponge cake which was already cut into three layers and put jam in between before cutting them into rough rectangles. Add sloppy chocolate icing and coconut! Delicious!